As explained by the text at the top of the latest provisional end of season rankings page, simply put, the table includes all money earned during last season (2013/14), and from the current 2014/15 season. This differs from the official rolling ranking list, as this still includes points from the 2012/13 season, which will not count towards the race for next season’s tour places. At the end of this season (ie after the 2015 World Championship), all players ranked outside of the top 64, who do not have a two-year tour card, or re-qualify through the European/Asian Order of Merit, will be relegated from the tour. Already therefore, we are more than halfway through a race which by the end of this season, will determine a large number of the players who will be on the tour for the 2015/16 campaign. Those who do not have to worry (for this season at least), are those players who were able to earn a two-year tour card for the 2014/15 and 2015/16 seasons, either via the Q School, international competitions or by other means. 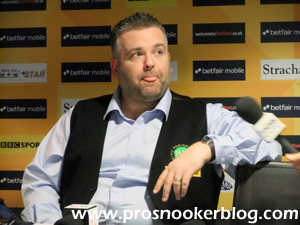 All players who retained their main tour places for this season by finishing in the top 64 at the end of the 2013/14 campaign, or who began their two-year tour cards at the start of 2013/14, must regain their place for the 2015/16 season. Of course those in the upper echelons of the list will have nothing to worry about, but the closer they are to the all-important ‘top 64’ point, the more nervous they will be. 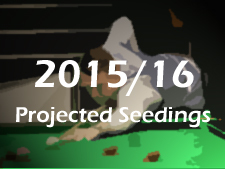 By finishing in the top 64 of the rankings at the end of the 2014/15 season. What is the cut-off point likely to be? Last year the 64th placed man was Jimmy White, who narrowly survived with £48,692, but with prize money on the increase this year, expect the bar to rise beyond the £50,000 mark. 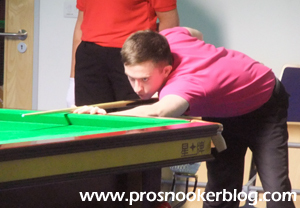 At the time of writing, Belgium’s Luca Brecel currently holds onto 64th place with £34,182 to his name. 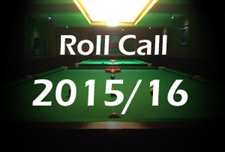 These players will earn a one-year card for the 2015/16 season. Although available to both amateurs and professionals competing in European Tour events this season, with so many professionals set to finish outside of the top 64 on the main ranking list, who do not already have a tour card for next season, expect these eight players to be made up of professionals, who haven’t quite been able to do enough over the past two years on the main list. These players will earn a two-year card for the 2015/16 and 2016/17 seasons. Similar to the European list, the top four performers on the Asian Order of Merit, not already qualified, will gain/retain a place on the tour for the 2015/16 season. At present, Sean O’Sullivan is set to re-qualify through both lists. This happened with Scott Donaldson last season, who ultimately re-qualified through the European list, as the final event of the European Tour came prior to the final event of the Asian Tour. This time however, AT3 comes before ET6 and so I would expect that it would be the Asian Tour which would take precedence in the event of double qualification. As mentioned earlier in the article, there are a few players who despite currently being higher on the official ranking list, are currently in danger, typically having experienced poor seasons in 2013/14. Most obvious of these is Marcus Campbell, who currently ranked 42nd on the official list, is provisionally outside of the top 64 at the end of the season in 66th place, with significantly more prize money still to drop from his total this season than those below him. 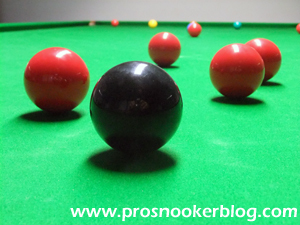 Other established names in danger are Jimmy White, Nigel Bond and Dave Harold, while even the likes of Tom Ford, Rory McLeod and Jamie Cope are in the lower 50’s and not certain to retain their places just yet. 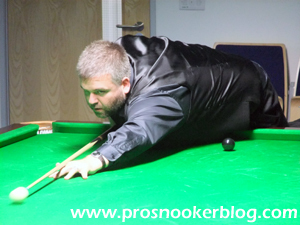 On the flip side, there are players such as Kyren Wilson and Stuart Carrington, currently in the second year of their two-year tour cards, already currently inside the provisional top 64 and very much on the up, while the likes of Li Hang, Robin Hull and Joe Swail are also narrowing the gap to those above them. With so much money still to be earned and the possibility for players currently well down the money list to be able to soar up the table with one good run in a major tournament, there is still much to play for and of course I will be bringing you regular updates over the course of this season. 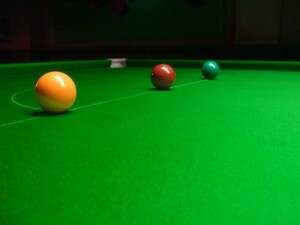 Great article, by the way it states “Carter’s ranking position will be dealt with retrospectively upon his return to competition” at the bottom of World Snooker’s official world rankings page something they didn’t say in their original statement http://www.worldsnooker.com/page/NewsArticles/0,,13165~3892785,00.html. Lastly I cannot see Northern Ireland cup on the PDF you tweeted maybe just you. Cheers – it says it on the top of my tab on Firefox, odd one!